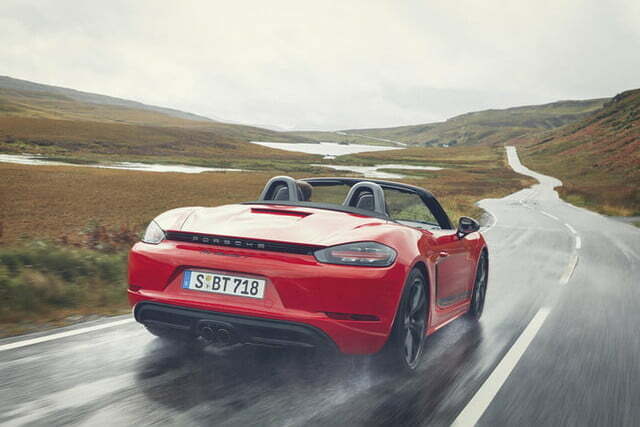 The Porsche brand has several facets. On one hand, it makes GT-badged cars developed with the single-minded goal of setting lap records. 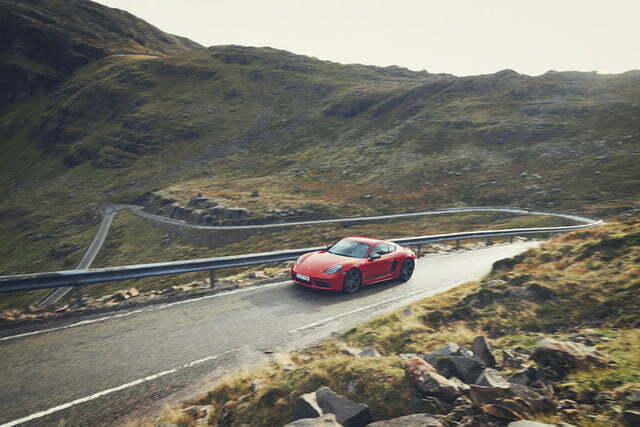 On the other hand, the letter T designates a car designed with an emphasis on delivering driving enjoyment on a twisty, empty back road. 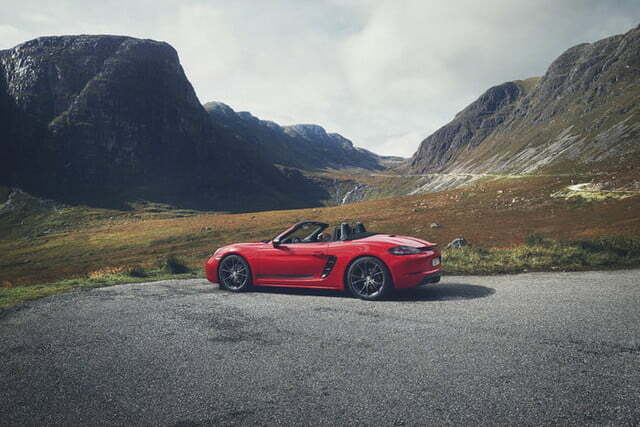 The German company has expanded its switchback-friendly catalog with the 718 Cayman T and the 718 Boxster T. They will join the 911 Carrera T in showrooms in 2019. Both Ts are powered by the same turbocharged, 2.0-liter flat-four engine tuned to deliver 300 horsepower at 6,500 rpm and 280 pound-feet of torque at 2,150 rpm. 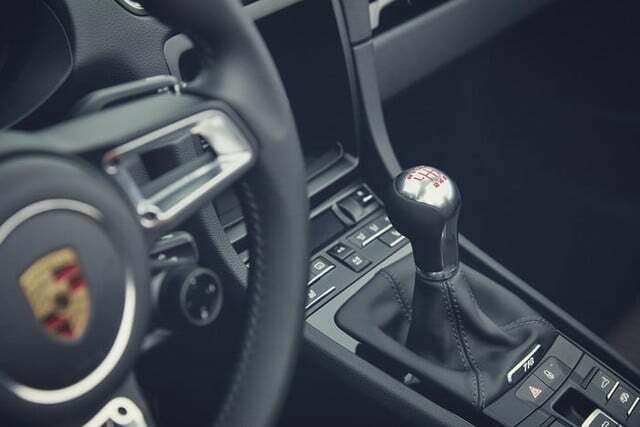 Mounted directly behind the passenger compartment, the turbo four spins the rear wheels through a six-speed manual transmission, though buyers who would rather not shift their own gears can order a six-speed, dual-clutch automatic transmission at an extra cost. 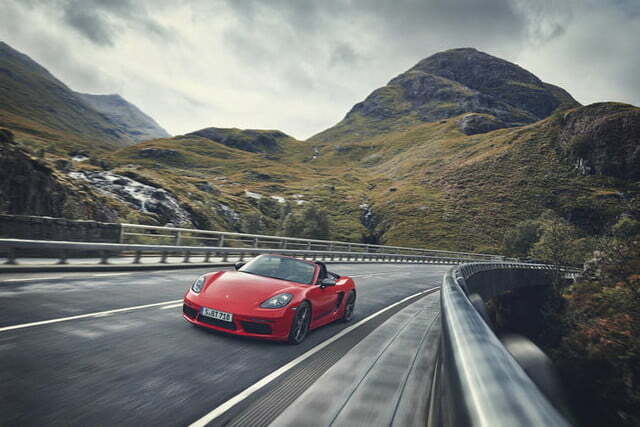 Porsche claims a zero-to-60-mph time of 4.9 seconds with the stick and 4.7 seconds with the automatic regardless of body style. The T treatment also brings a slightly lower suspension. 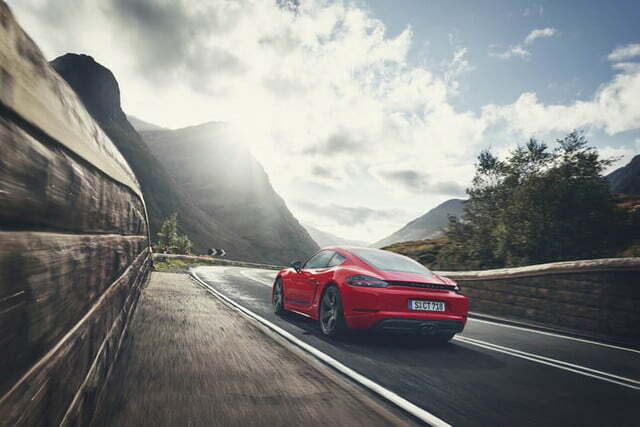 If you’re into car-spotting, you’ll have better luck telling the Ts apart from other 718s by keeping an eye out for model-specific 20-inch alloy wheels finished in gray, decals on the bottom of both doors, gray mirror caps, and pair of black exhaust tips that stick out from the middle of the rear bumper. 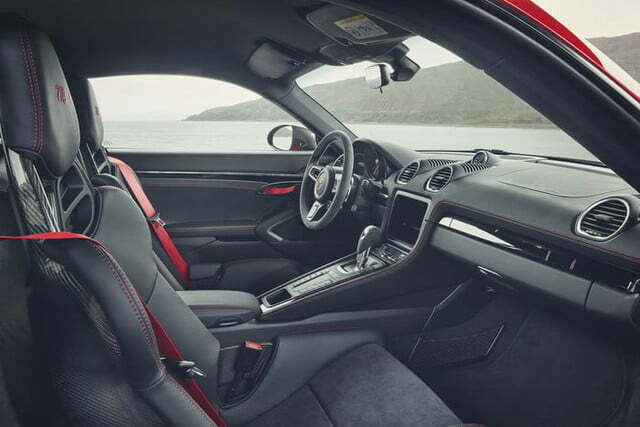 The interior is largely tech-free, at least in its standard configuration, and that’s exactly how designers wanted it. 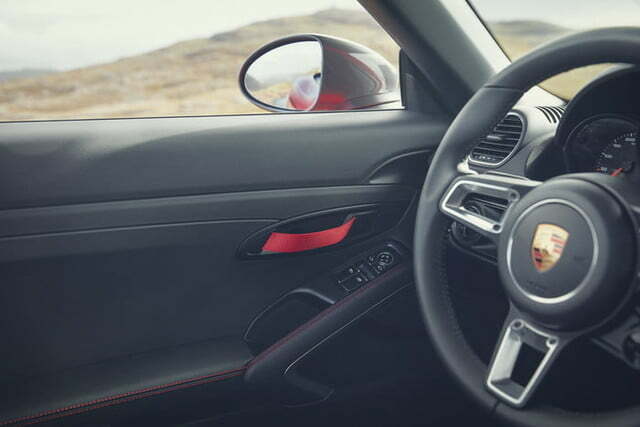 Porsche removed the touchscreen-based infotainment system to save weight and filled the gap it left in the dashboard with a large storage compartment. Buyers more concerned with connectivity than pounds can add the infotainment system at no extra cost. 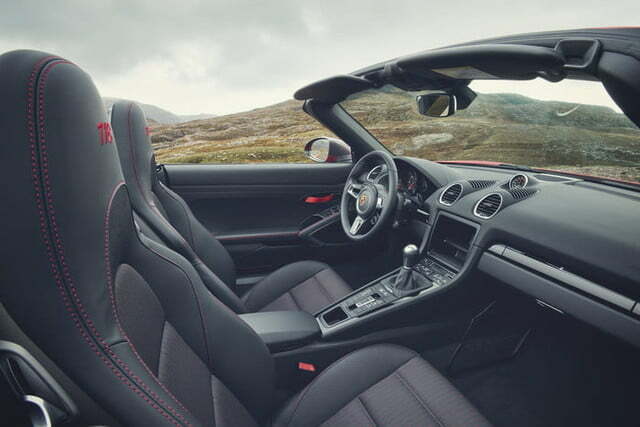 The firm also installed fabric door pulls instead of plastic ones, and installed a pair of two-way power-adjustable sport seats with 718 emblems embroidered into the headrests. Both new additions to the 718 lineup are available to order now in their home country of Germany. 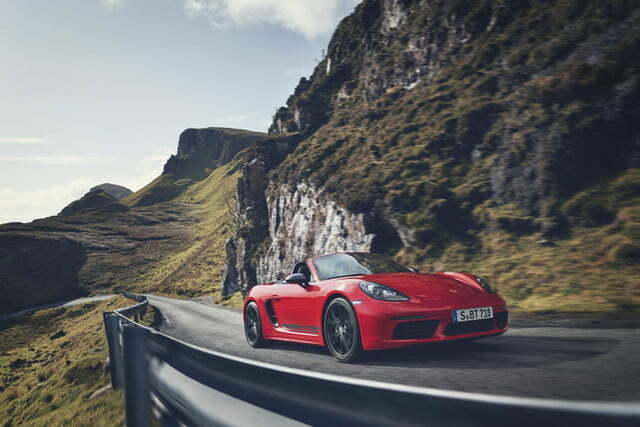 Pricing starts at 63,047 euros for the 718 Cayman T and 65,070 for the 718 Boxster T, figures that correspond to about $72,000 and $75,000, respectively. 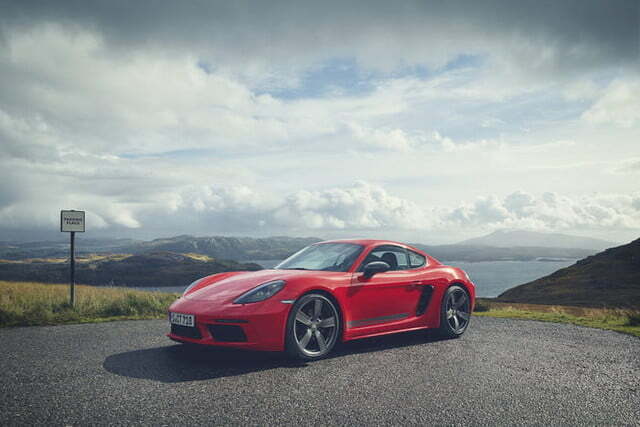 Porsche will release pricing information about the American-spec models in the weeks leading up to their on-sale date.